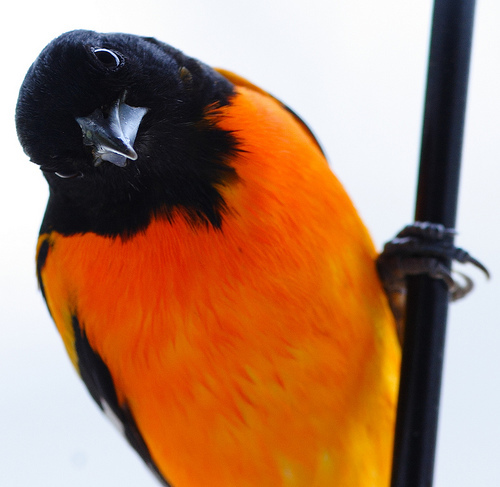 It’s September and the Baltimore Orioles matter. I’ll admit it. It’s true. I’m a new fan. I wasn’t there for the last 15 years, keeping my head held high while another season fell away, many times miserably. No, I wasn’t among those Baltimore fans who never lost hope, because I never had any to begin with. I wasn’t a fan of the Orioles, but I wasn’t a fan of anybody. I didn’t watch baseball. I didn’t care about baseball. Heck, I didn’t care about sports. Now, to be clear, I’ve always enjoyed a night out at the ballpark. But it was for the atmosphere, the crowds, the cheering and oh most certainly for the hotdogs. Before this season I’d been to six O’s games in my 8 years in Baltimore, and in all but 1 of those games they lost. But it was a great time anyway. But then something happened. Two years ago, my friend Peter introduced me to football. It took one season of watching the Baltimore Ravens for me to realize just what I had been missing. The thrill! The disappointment! The close calls! The living room exploding in cheers when Flacco throws that perfect ball to Boldin. What’s this? Watching sports is fun! So, after that devastating moment when the city watched our Super Bowl hopes fly wide left, I found myself craving more sports. I figured, let’s see if I can get this amped up about baseball. Boy did I pick the perfect season to do that. I’ve lost count of how many times I’ve startled Nathalie because I’ve leaped out of my seat cheering. I’ve watched Manny Machado’s third base fake throw to first highlight video at least twenty times. I find myself looking forward to every game, and have been all season. Never before did I see myself having baseball on the tv every night, and missing it on their off days. Well, they’ve just swept the Mariners to stay tied with the Yankees. Every game counts here. Every inning matters. This Is Birdland, and I’m proud to say that I’m a fan.